"I'm much more relaxed, I'm not really worried, I'm going to come out and enjoy it a bit more this year and just be me"
It's been a whirlwind 12 months for Rob Cross, but with the pressure of being world champion no longer weighing heavily on his shoulders, 'Voltage' is confident of making sparks fly after getting his Premier League campaign underway in Newcastle on Thursday night. Cross made his Premier League debut last term, fresh from his historic World Championship triumph on his Alexandra Palace bow. Nevertheless, 2018 proved to be a baptism of fire for the former electrician. Cross was forced to contend with the pressure and expectation that comes with being world champion, while also adjusting to the gruelling nature of the Premier League. Speaking to the Darts Show podcast, the World No 2 admitted he's feeling much more relaxed ahead of this year's competition. "I'm much happier and more relaxed really. Last year was very blind coming into the Premier League, I didn't quite know what to expect," Cross said. "But this year I'm much more relaxed, I'm not really worried, I'm going to come out and enjoy it a bit more this year and just be me." Cross endured a nightmare start to his debut campaign 12 months ago, suffering successive losses against Michael van Gerwen and Simon Whitlock, claiming just four legs in the process. This saw the Hastings ace come under intense scrutiny, but he rallied impressively to secure a play-off spot, before succumbing to eventual champion Van Gerwen in the semi-finals. "I think I did alright actually, especially to come out, lose the first couple of games and probably the third game was easier to roll over than win, but I showed a bit of character. "I'm still adamant that last year in the Premier League I didn't play my best and I was struggling in places and it was hard. "The biggest thing I probably did last year- I lost my opening two games and I didn't panic which was brilliant. "I still thought to myself I can still qualify, I can still do everything, I just need a change in luck and start playing a bit better, because I was a bit ropy at the start," Cross added. 'Voltage' kicked off this year's Premier League campaign with a thrilling 6-6 draw against Peter Wright on Thursday, averaging 103.57 in the process, and he'll be hoping to replicate that form as the Pro Tour gets underway this weekend. Since his stunning World Championship success in 2018, Cross has failed to go beyond the semi-finals of a major televised tournament, but when asked whether he believes he can win this year's Premier League, he remained defiant. "I definitely believe so. Basing it off last year I didn't feel I played my best and I still did alright so that's positive," Cross admitted. "Obviously first things first is to get some points on the board, get into the tournament because you don't feel into it. "I played two weeks last year, lost both weeks and didn't even feel like I'd played in the Premier League because I didn't win any points, so get some points on the board, start enjoying it and see where it leads." Cross hadn't even been a professional for 12 months prior to his remarkable ascension to World Championship glory and as a result, his fairy-tale triumph brought with it unprecedented media attention. However, it's been a case of the calm after the storm for 'Voltage' since his last 16 exit at the Ally Pally against Luke Humphries, and he admits he's relished the opportunity to recharge the batteries. "In fairness I feel different. I feel back to my old self really and I've not been pulled pillar to post in January which has been nice. I've spent a lot of time with the family, didn't play for a massive amount of weeks and that's probably the biggest time I've had off in the last three years. "I suppose I've been a little bit lazy with it really but I've just spent time with the family, recharging the batteries, made myself feel good and I feel brilliant now." Cross suffered a first-round exit in the season-opening Masters last weekend, losing out 10-6 to Joe Cullen. The former world champion used a new set of darts against 'The Rockstar', but he revealed he's now gone back to his tried and tested equipment. "I had a little change. I did five days with another set but I went and played and fell a bit flat on my face with them. I didn't feel comfortable with them when I got up there so I've gone back to an old set. 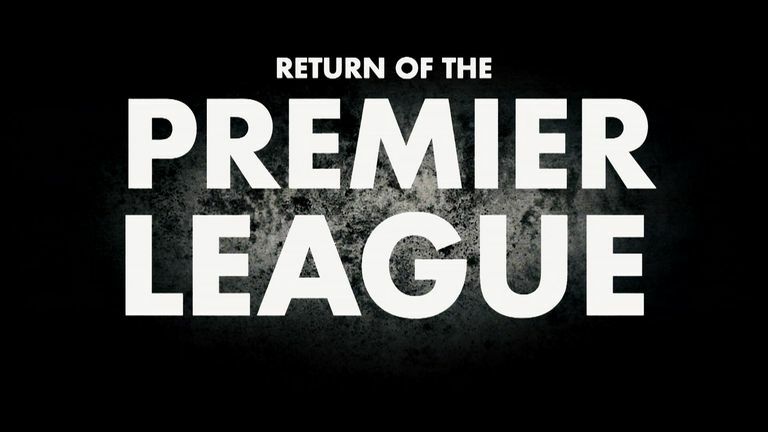 The Premier League is back, taking in 15 cities in seven countries around Europe. "I've had the barrels narrower now so they're a lot smaller. I'm playing well with them, I'm happier with them and I'm going to stick with them now and try and push them on." Cross is an established figure within the darting elite but some forget he's still a relative newcomer to the PDC circuit, as he embarks on just his third year as a professional. He experienced the draining nature of the Premier League and World Series last year, and he insisted his main focus in 2019 is to strike the right balance in terms of his schedule. "All I'm going to focus on this year is that I'm right, so if I need to take some time off from Pro Tours I'm going to do that. "I'm going to balance my schedule so I'm still getting everything I need and just making sure I'm happy really, because when you're happy it is easier to play darts."